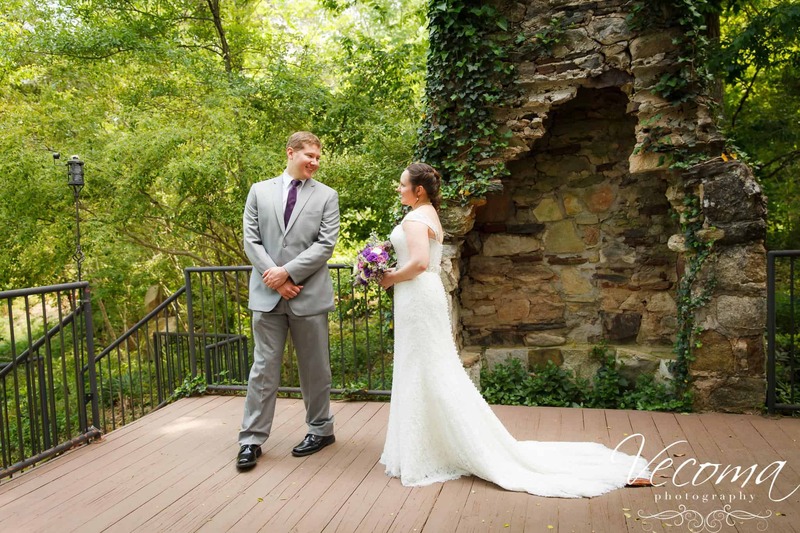 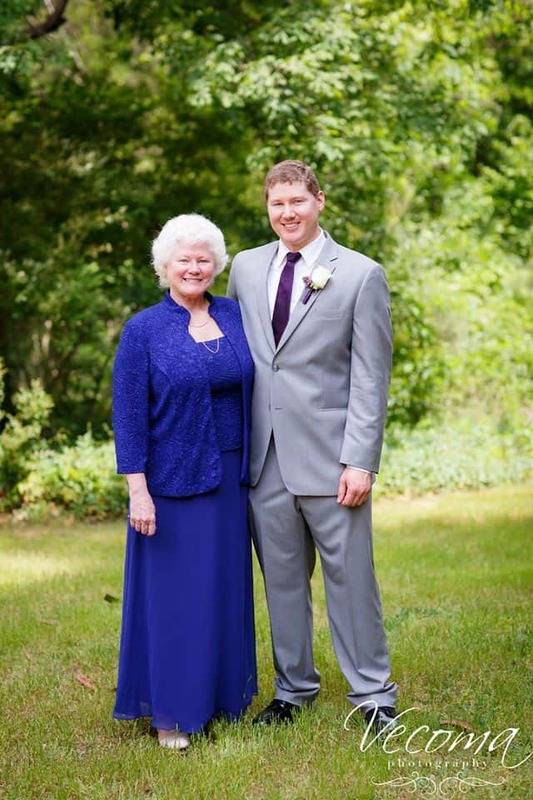 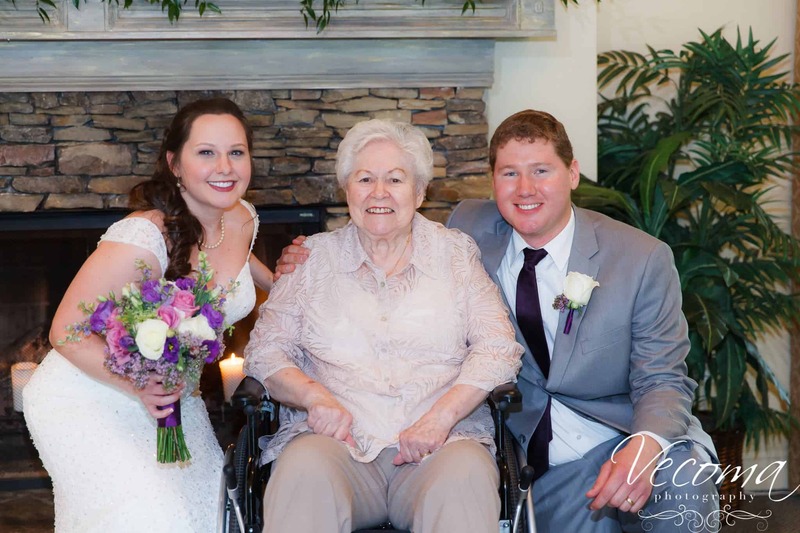 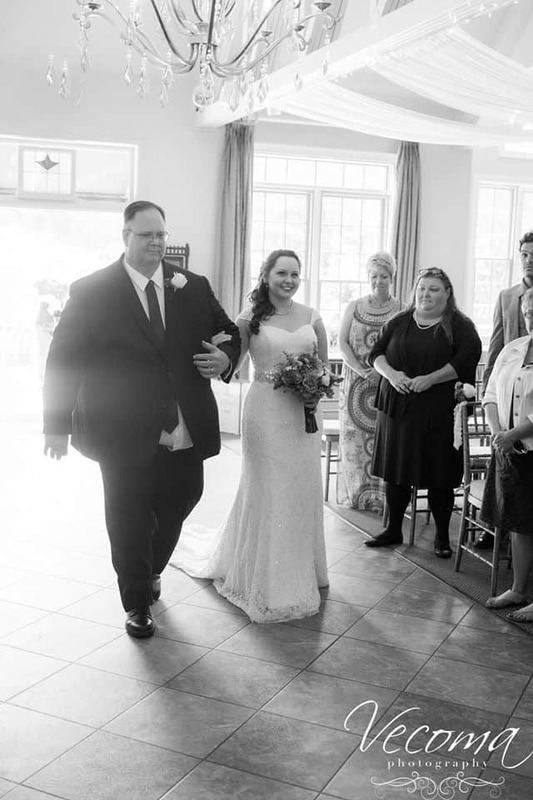 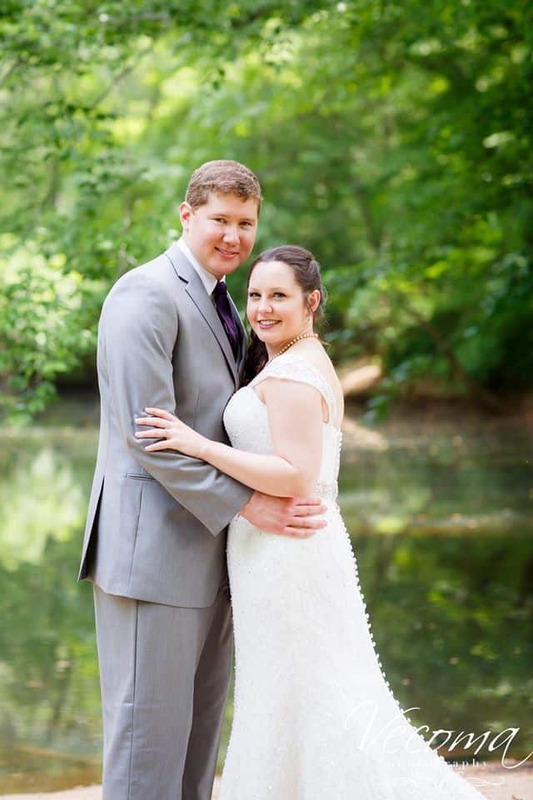 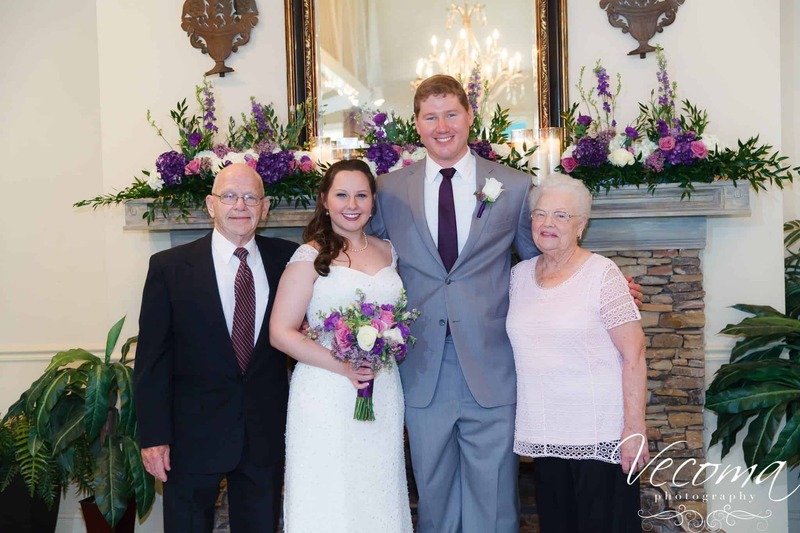 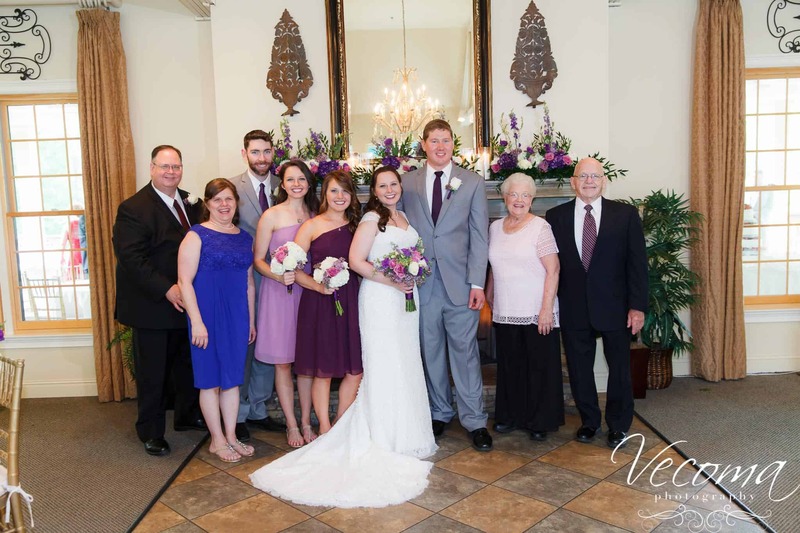 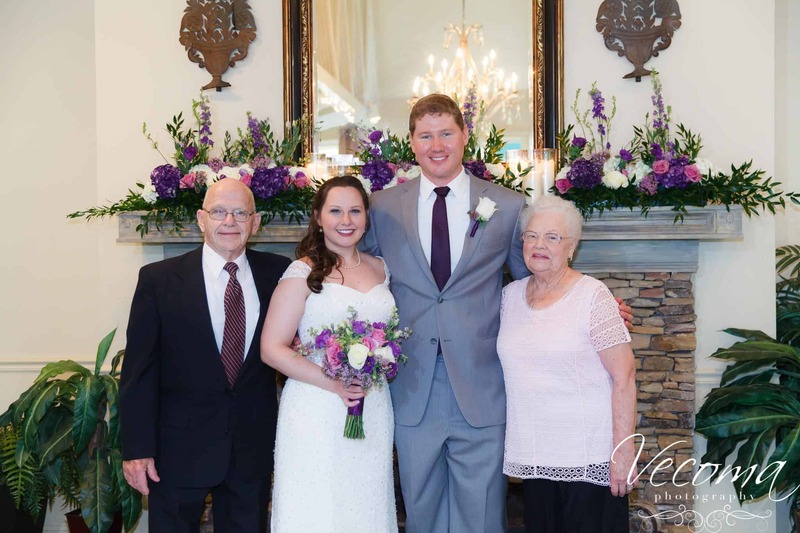 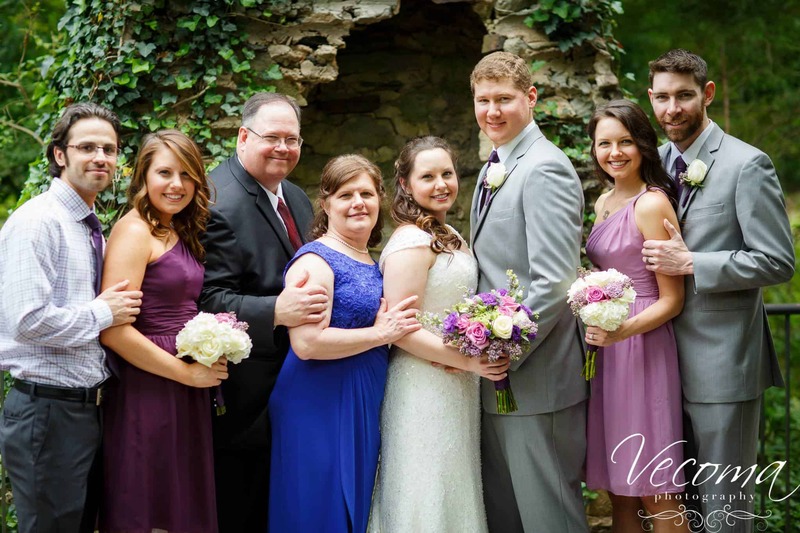 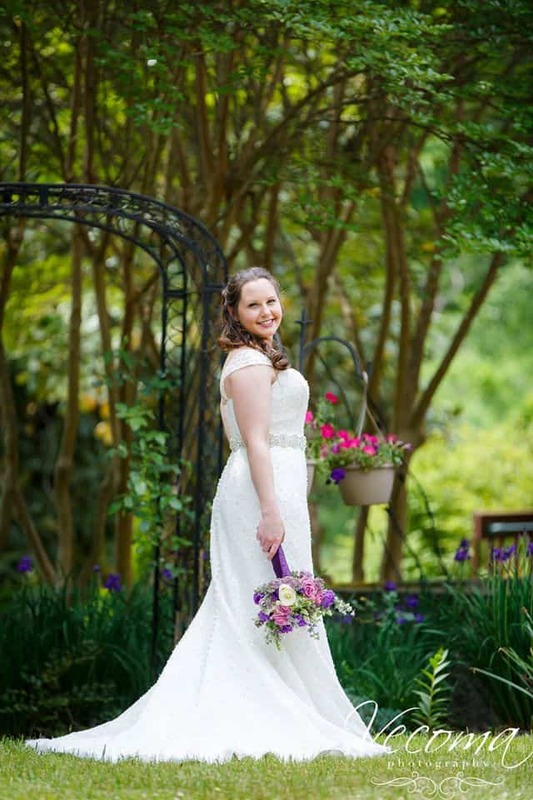 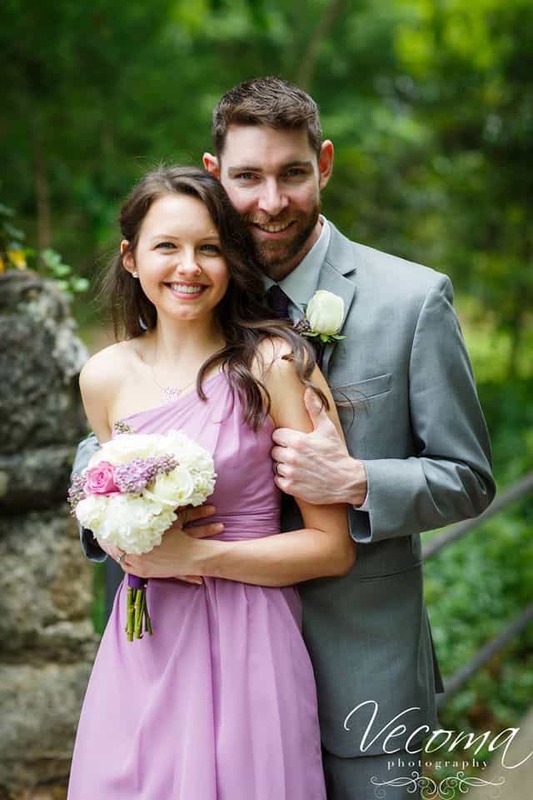 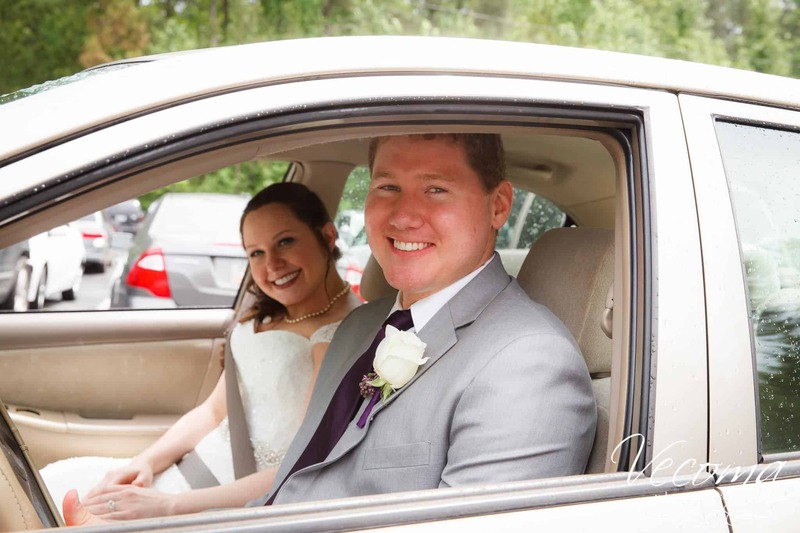 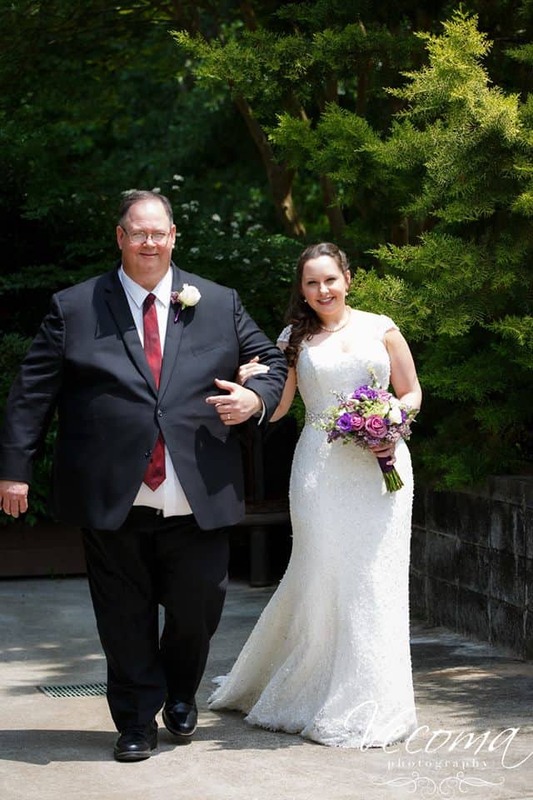 Catherine and Chris had a beautiful afternoon reception on April 30, 2016! 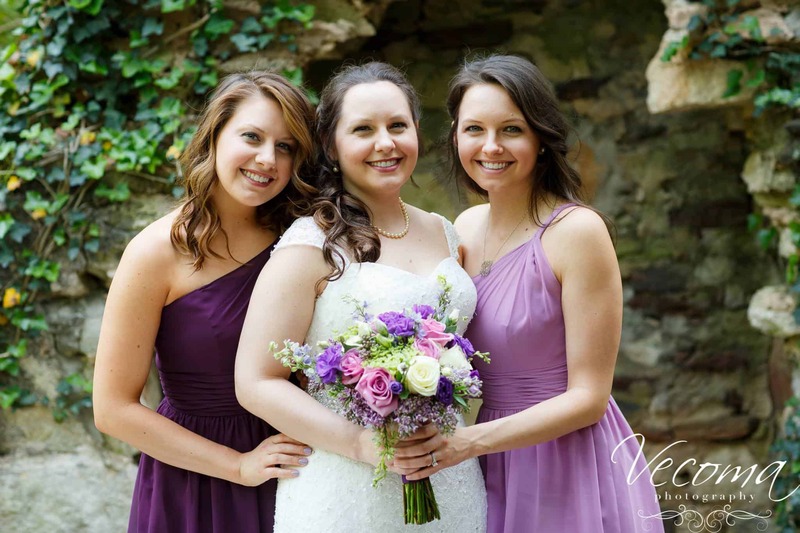 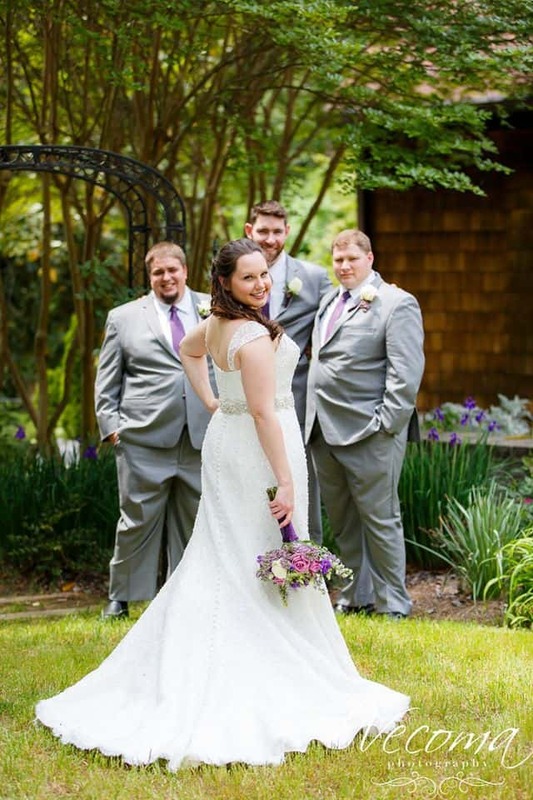 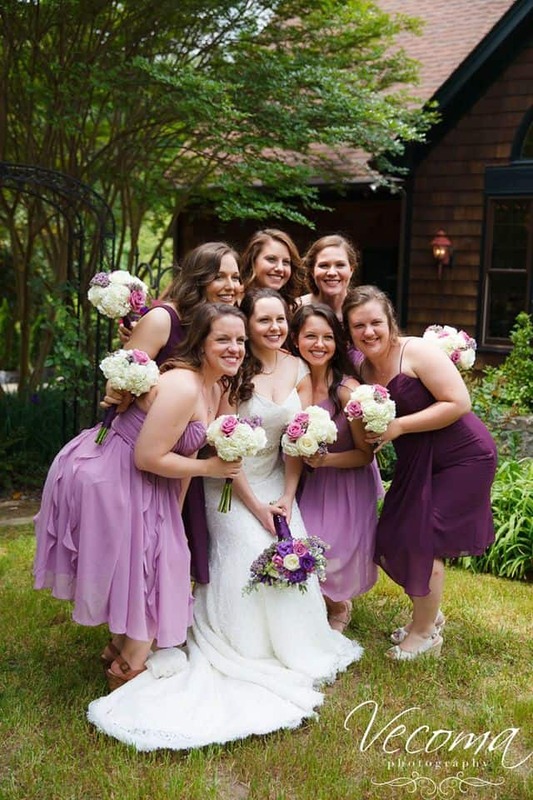 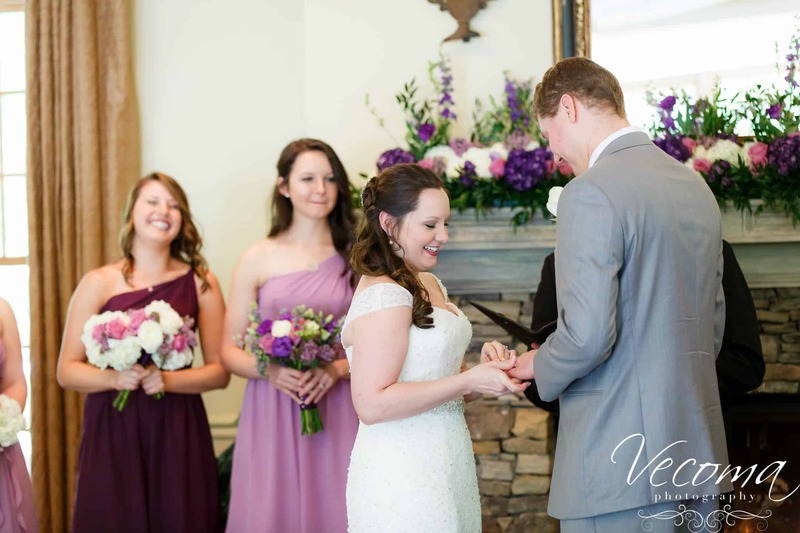 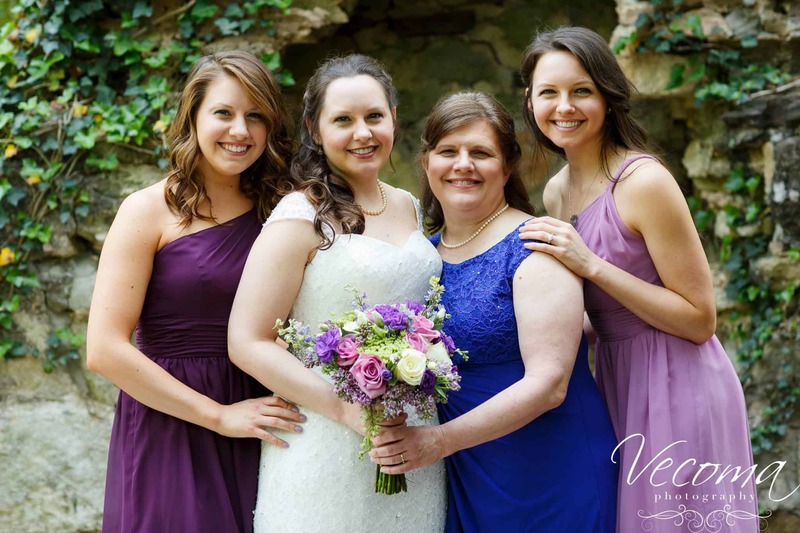 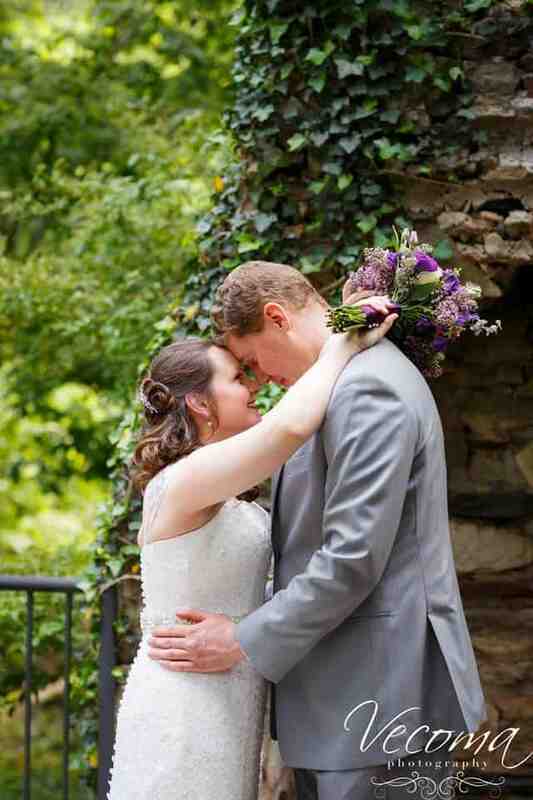 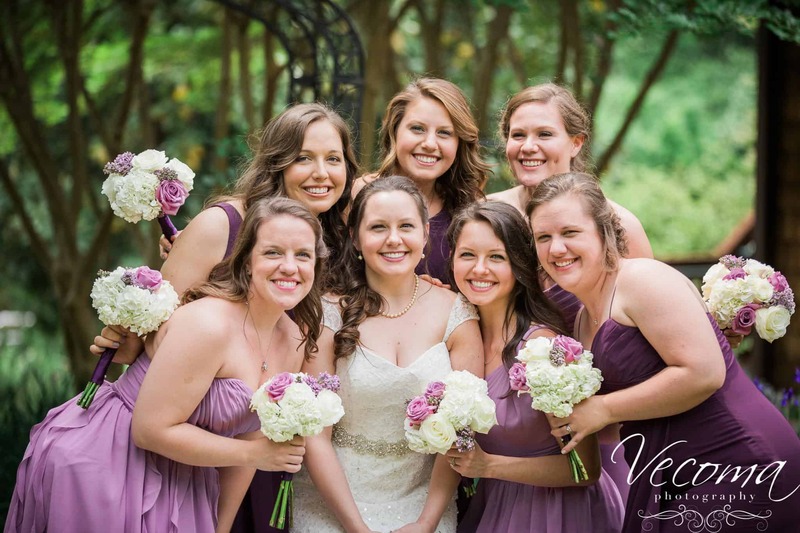 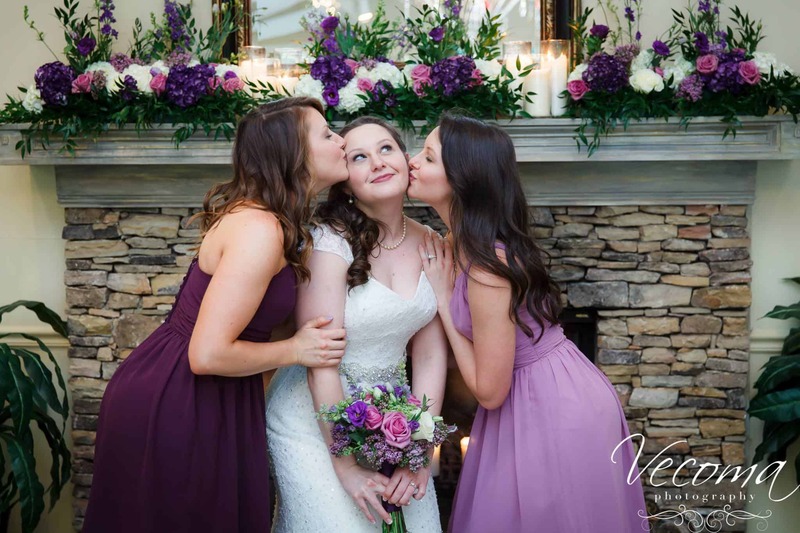 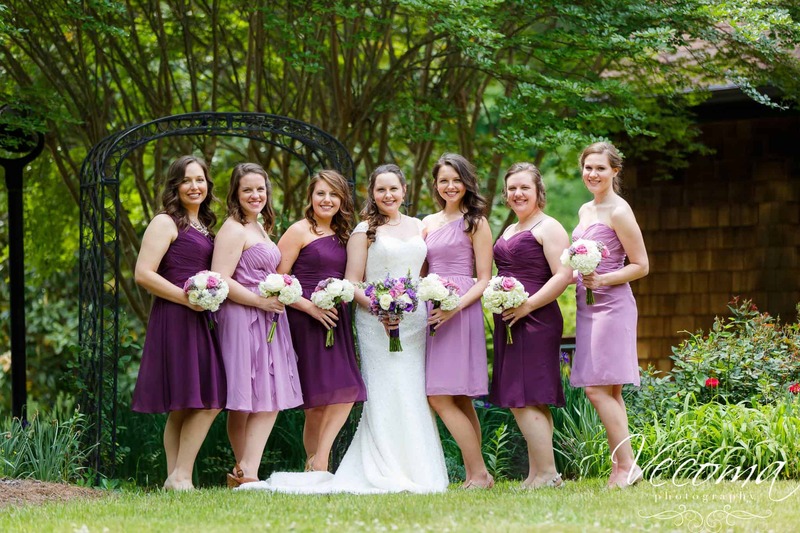 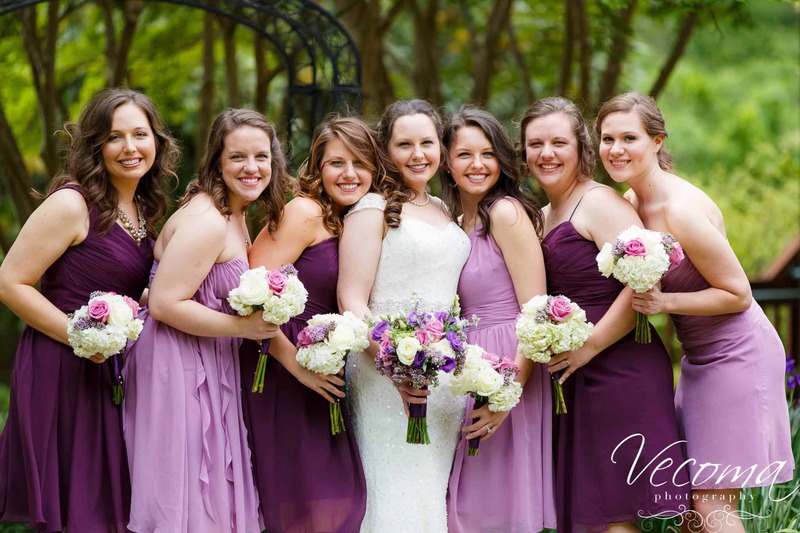 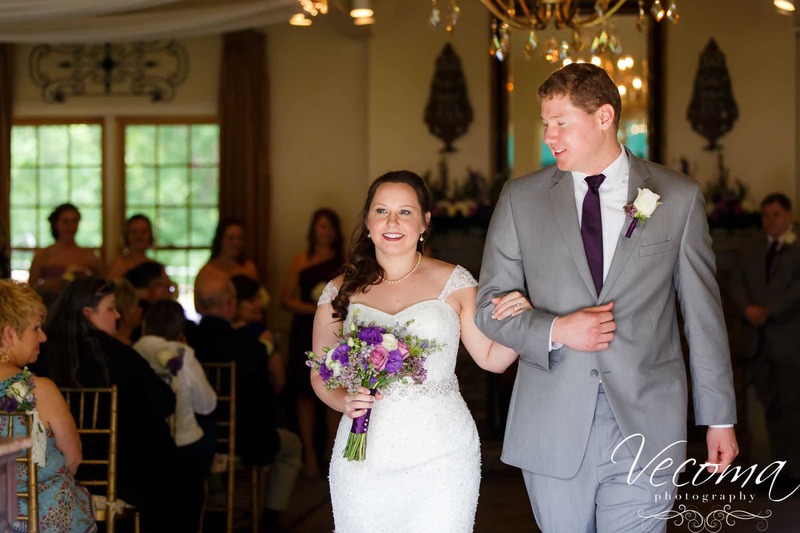 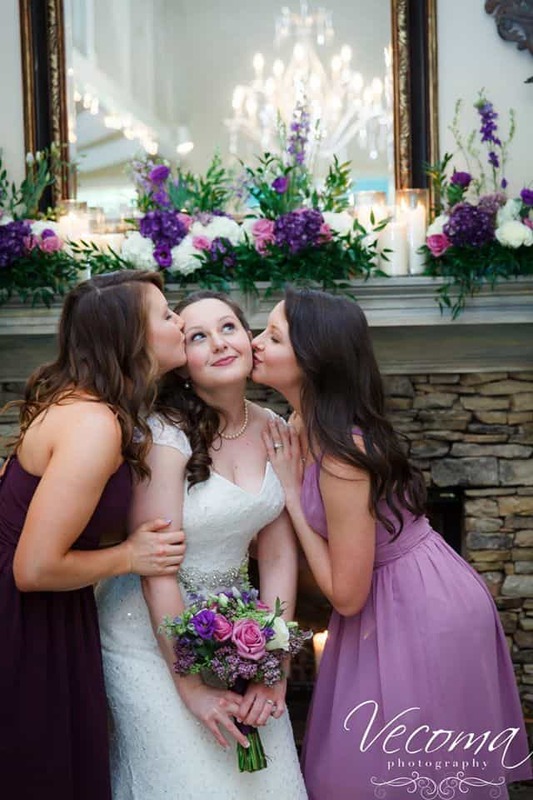 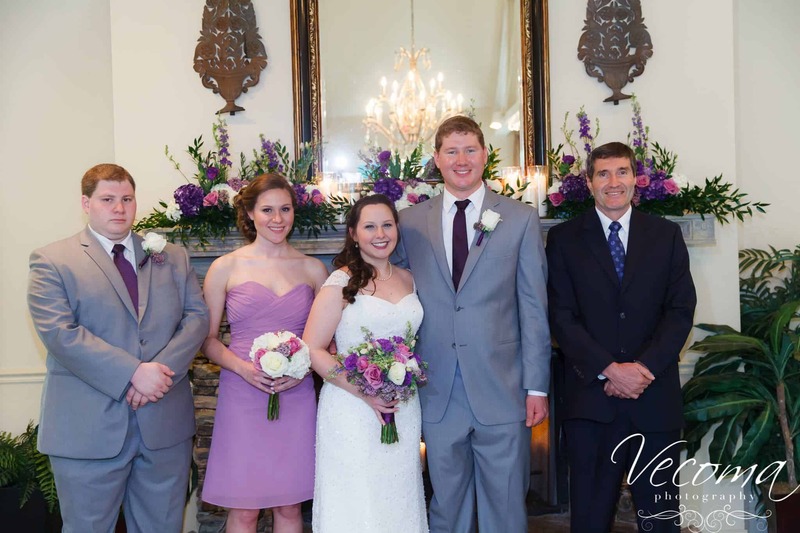 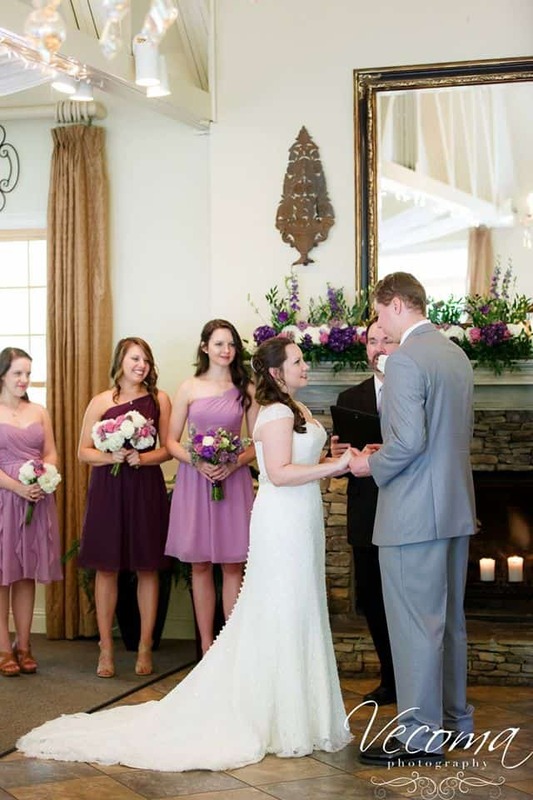 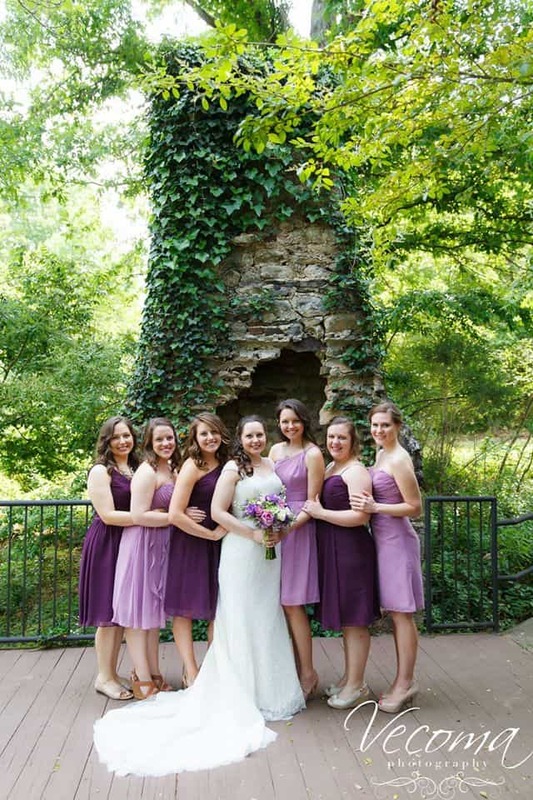 Soft shades of lavender and beautiful feminine touches made this a romantic wedding to remember!. 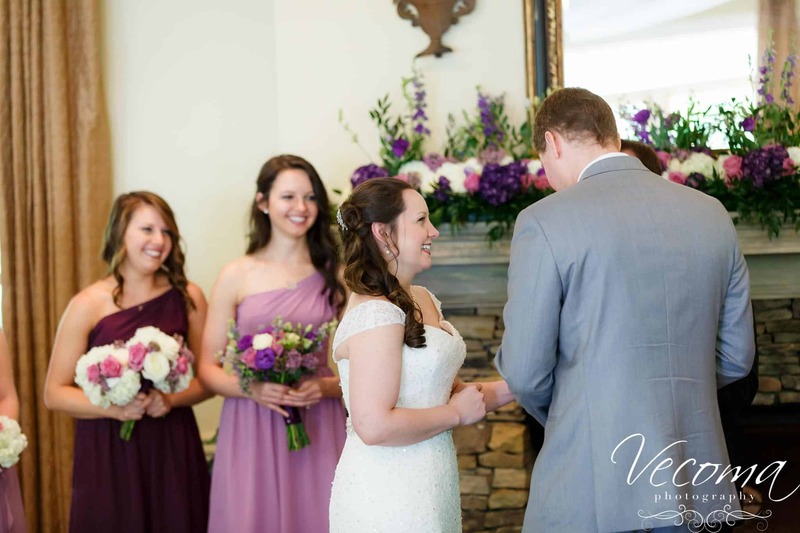 The button detail on Catherine’s beautiful dress is to die for. 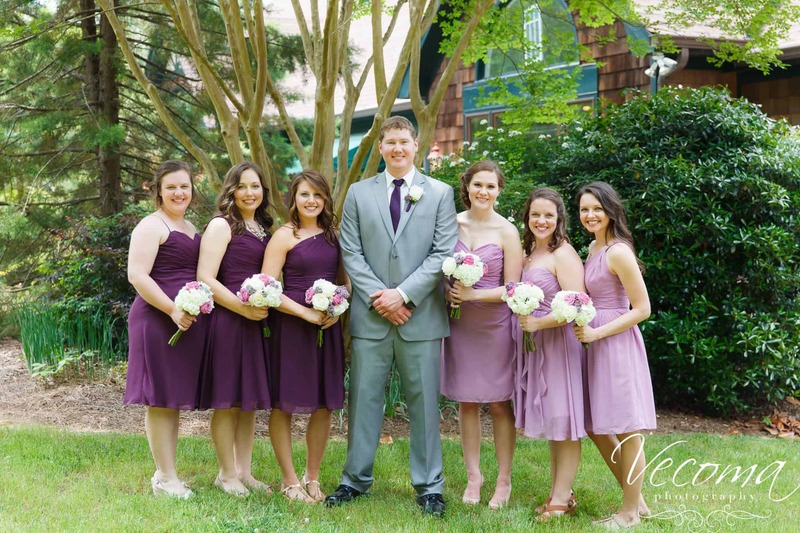 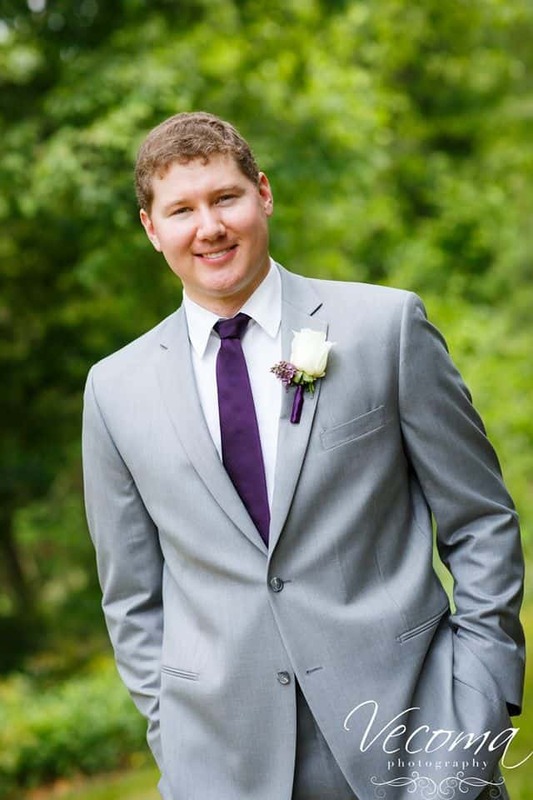 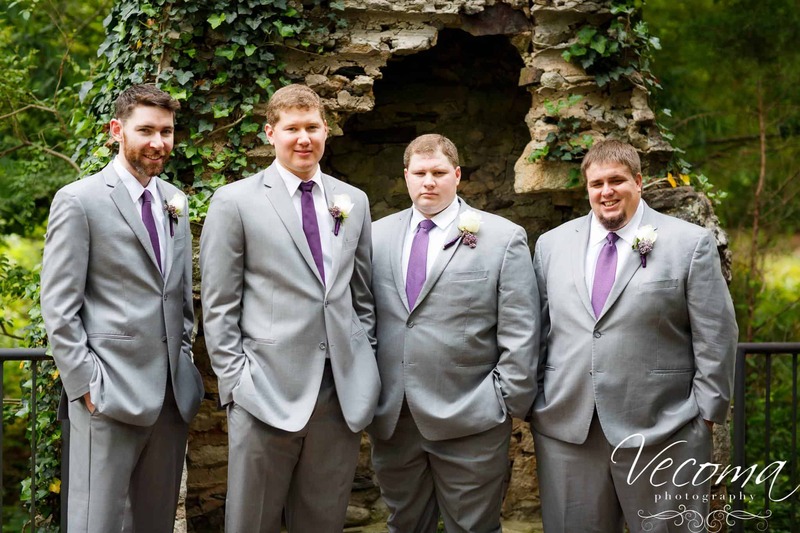 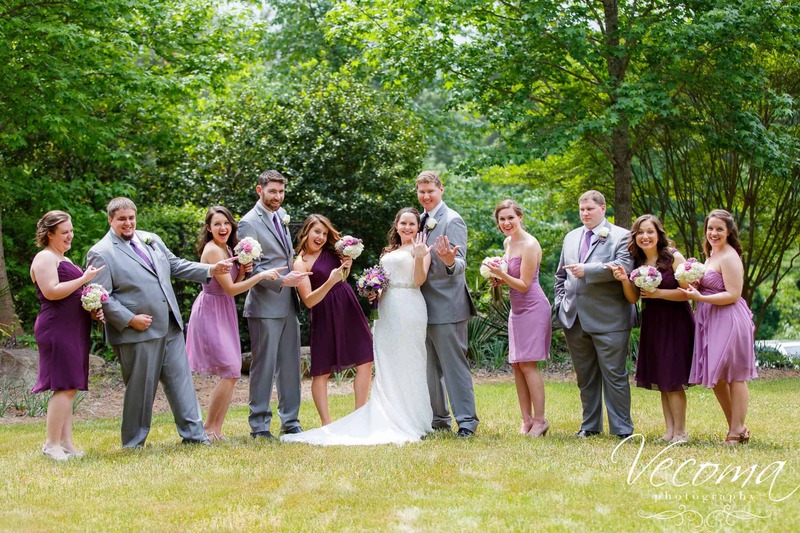 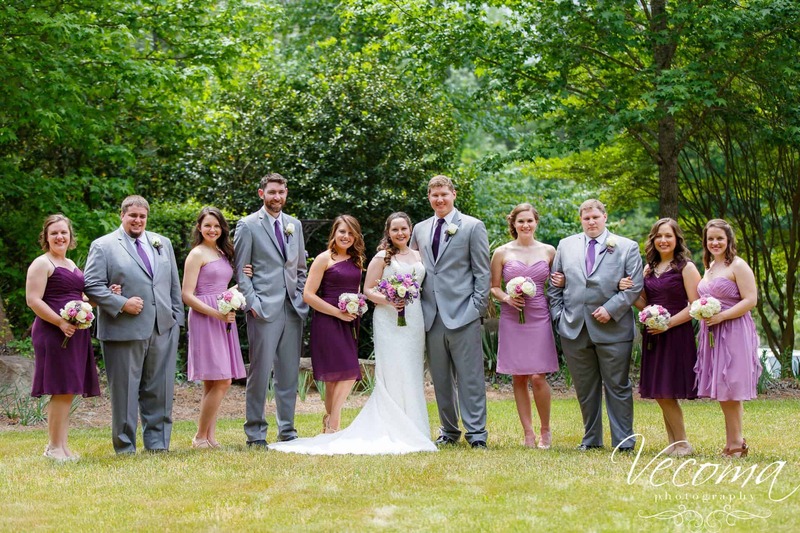 Alternating shades of lavender and plum on the bridesmaids adds visual interest, while sleek gray looks great on groomsmen for spring. 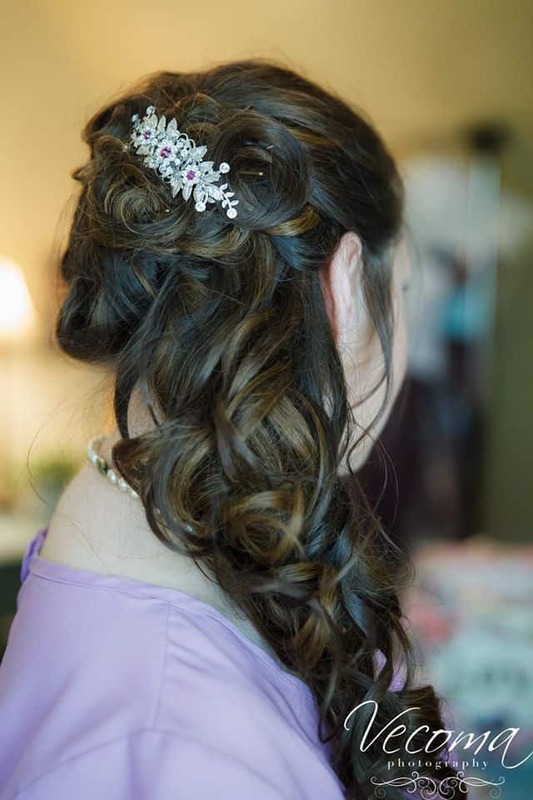 A glittering clip and gorgeous curls gives a romantic princess look to Catherine’s hair. 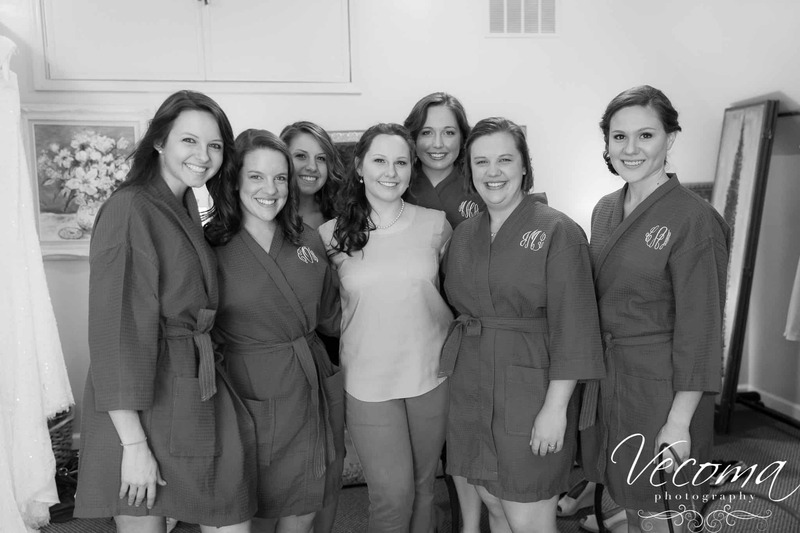 Monogrammed robes make for cute wedding pictures- and excellent bridesmaid gifts! 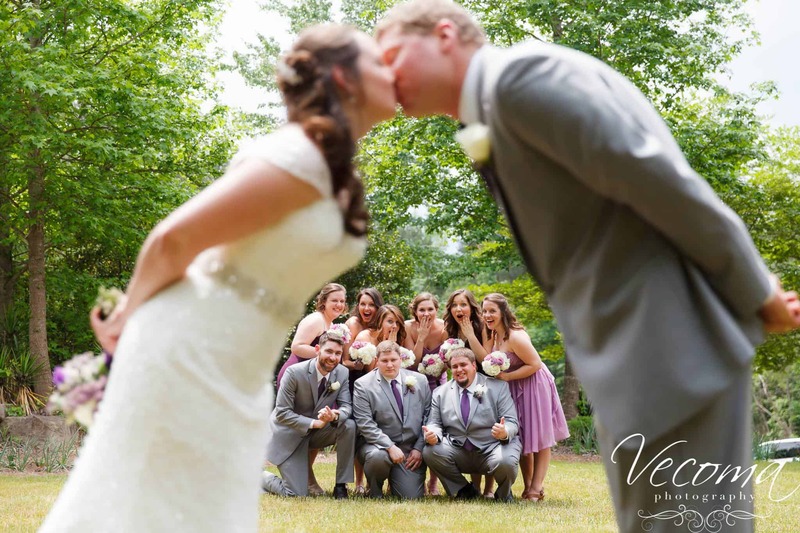 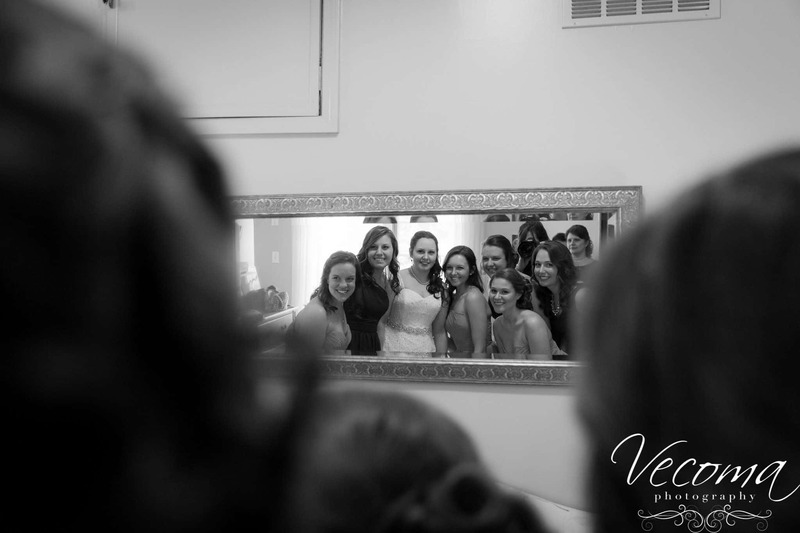 It’s not a wedding at Vecoma without at least one shot in front of our iconic chimney. 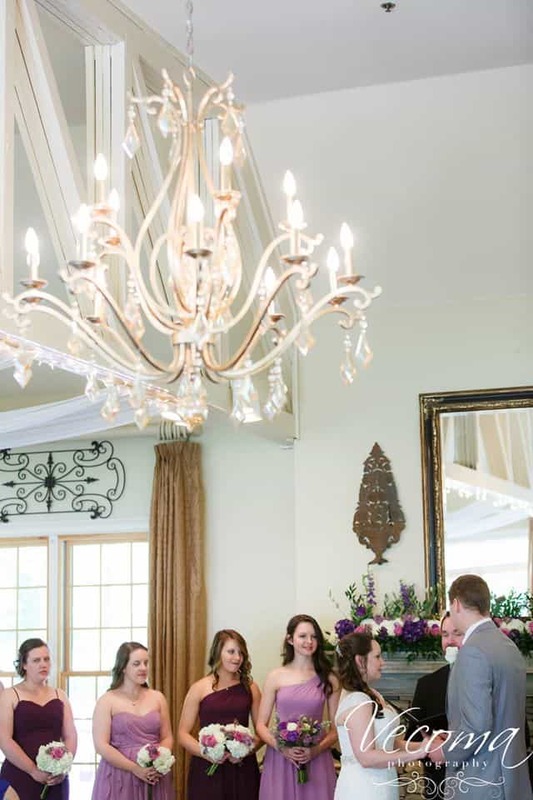 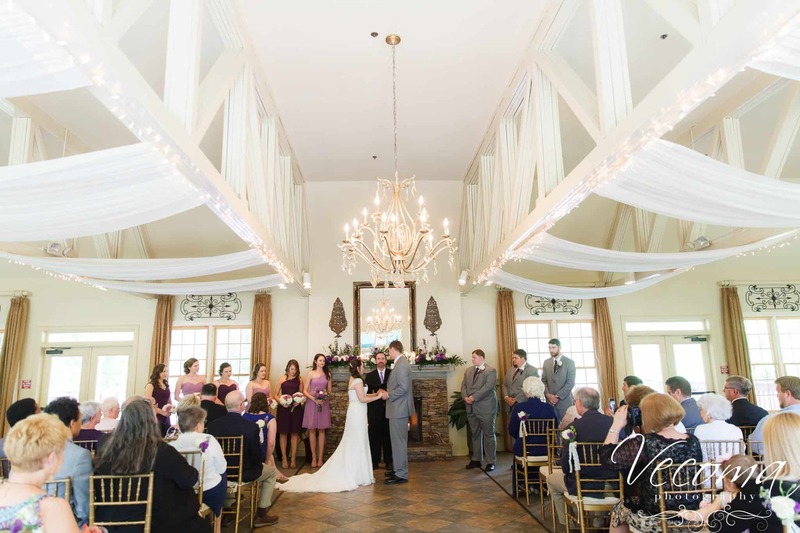 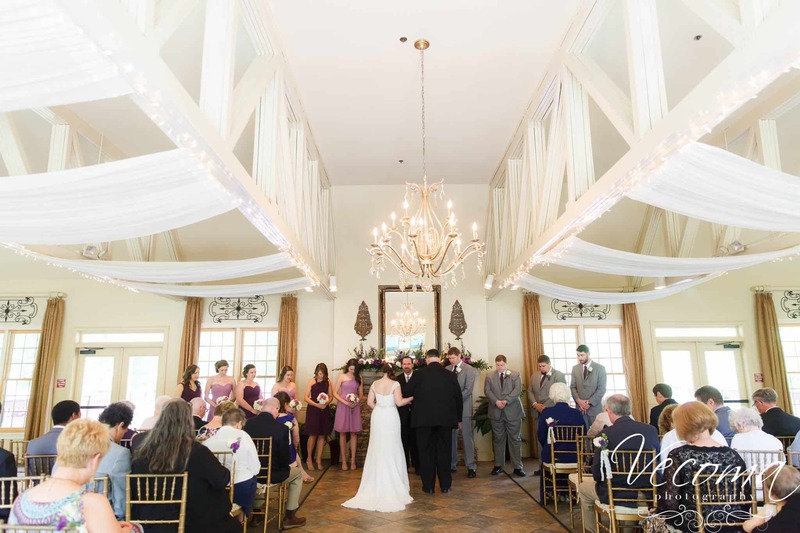 An indoor ceremony keeps guests out of the heat of the day in a beautiful setting. 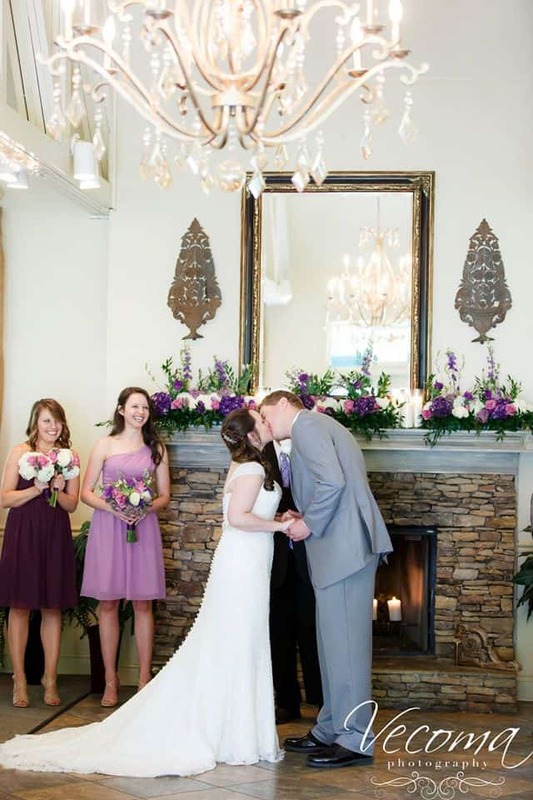 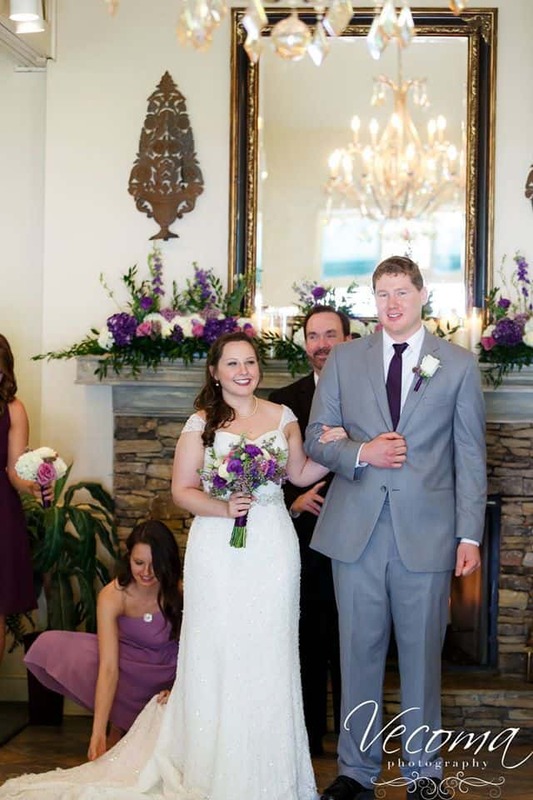 Catherine and Chris said their “I dos” in front of the fireplace. 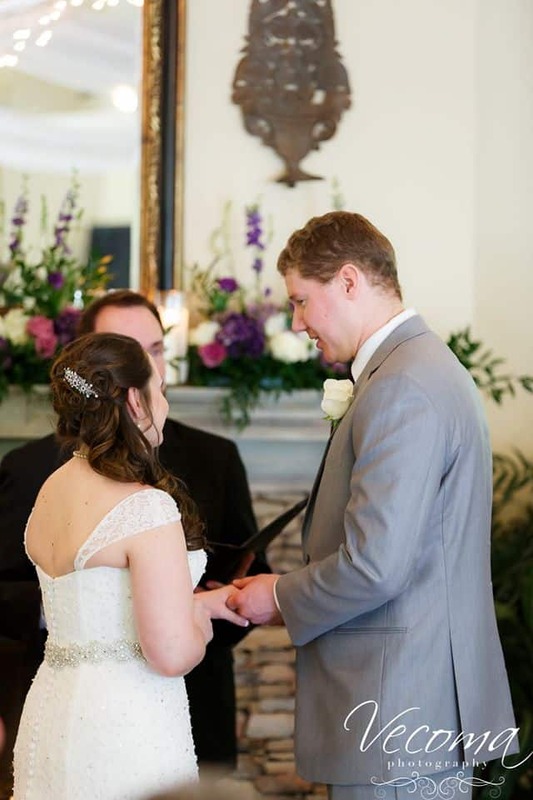 The shimmering detail on Catherine’s dress is absolutely stunning. 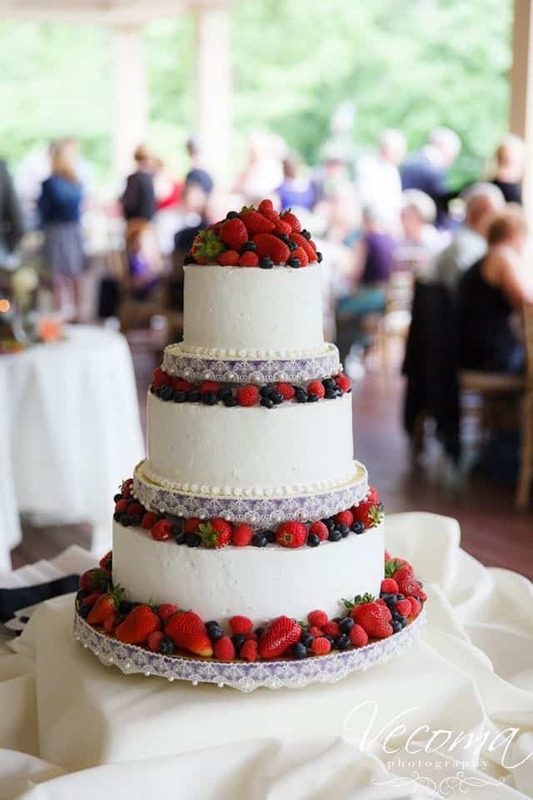 This decadent white cake accompanied by delicious strawberries, raspberries, and blueberries is sleek, simple, and elegant all at the same time. 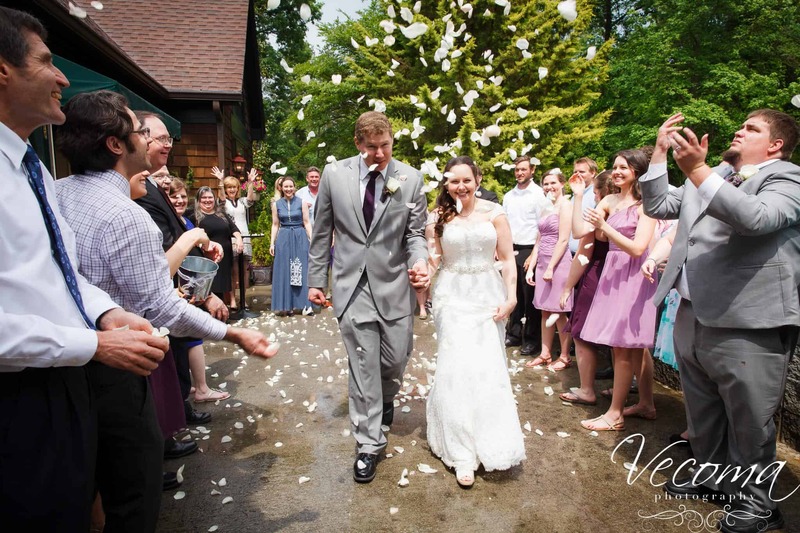 Catherine and Chris opted for a romantic send-off- a shower of flower petals to welcome them into their new lives together! 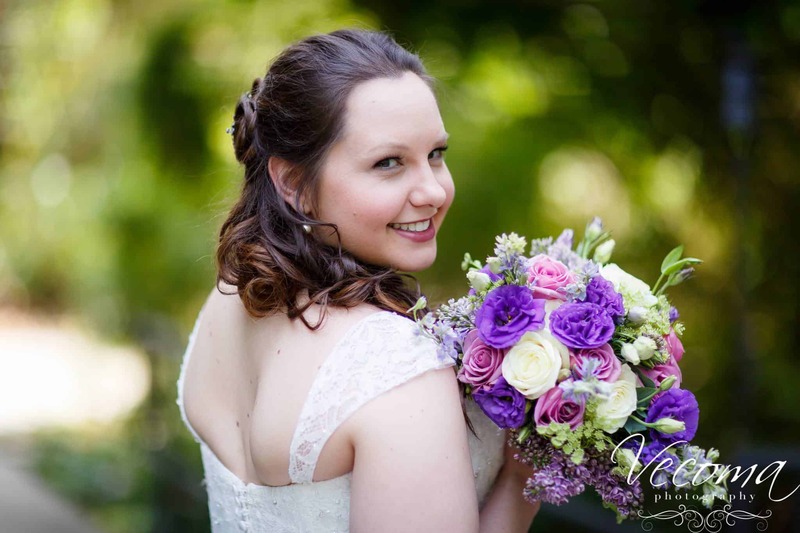 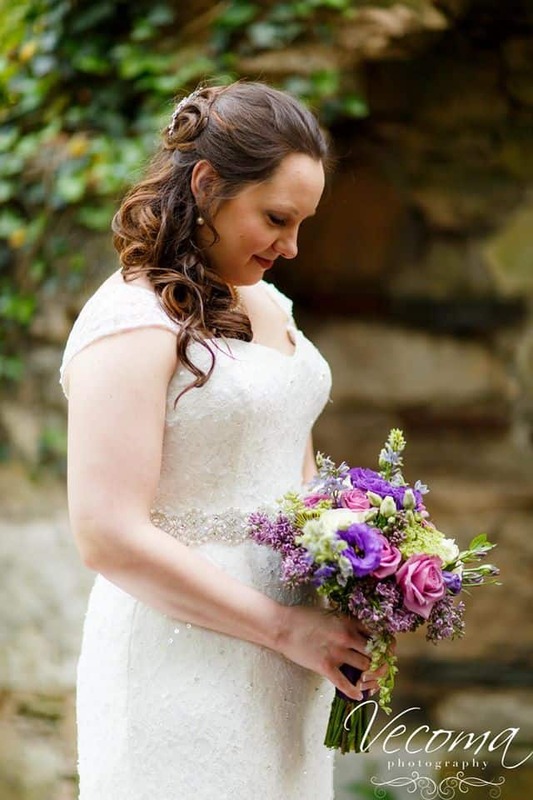 Check out Catherine’s lovely bouquet, reminiscent of a spray of wildflowers gathered from outside! 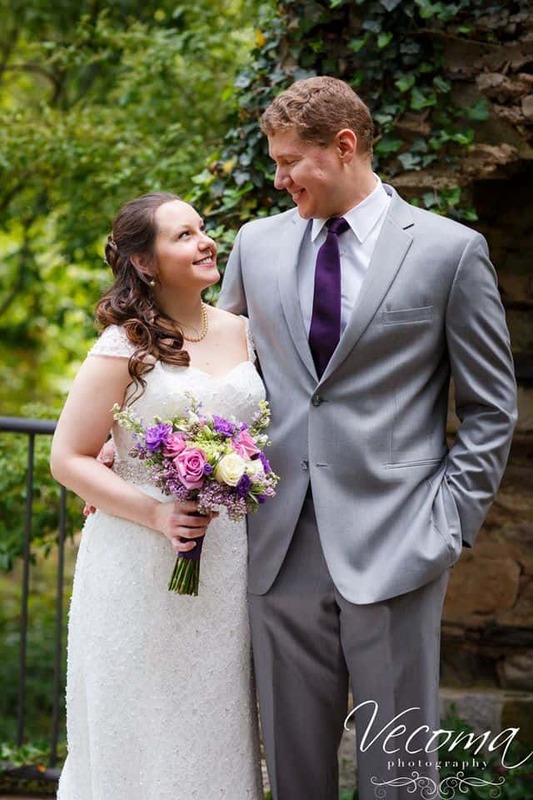 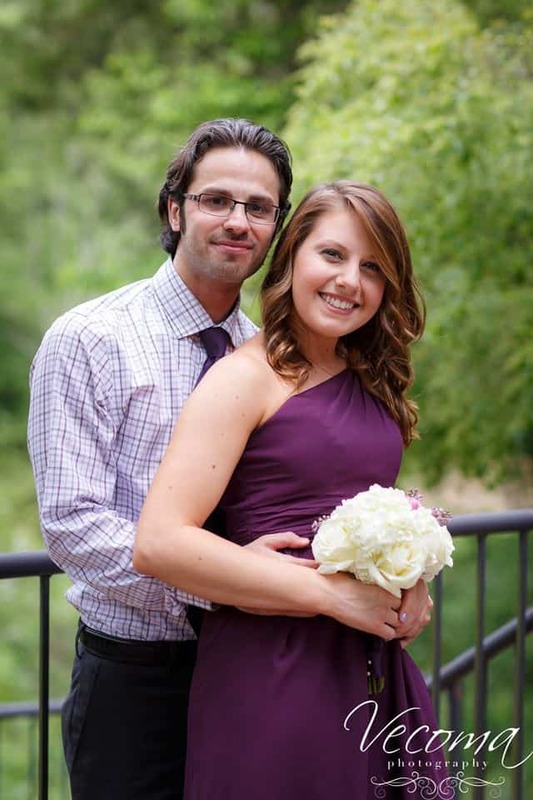 Congratulations Catherine and Chris!